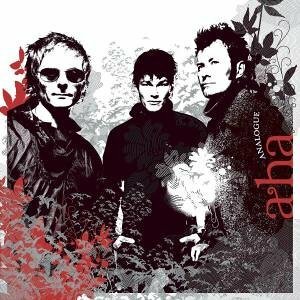 Hier kommst Du zur deutschen Version Interessting and informative website about the norwegian band a-ha. Created by Birgit Stonis and m + b media. Read more about the members of a-ha: The vocalist Morten Harket, the keyboarder Magne "Mags" Furuholmen and the guitarist Pål Waaktaar - Savoy and a-ha in general. The report about a-ha's performance at the Live 8 concert in Berlin is online! You can read the report here: Reports 2005! 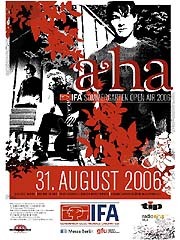 a-ha will tour from July 2006 until November 2006 in UK, Norway, Germany, Russia and Ukraine. The only full concert in Germany this year is at Sommergarten Open Air in Berlin. and at the a-ha4ever.com message board! You can listen to the radio version of the song "Gildas Prayer" by Morten Harket here! Besides inform youself about a-ha´s latest news, their discographie, their tours, see pictures of a-ha, read reports of events and concerts, take part at the votings about a-ha, read about the solo projects of the three norwegians and many more. Please sign the guestbook before you leave or contact other fans at the message boad or in the chatroom. If you like send us and e-mail with your comments and critic about this website. 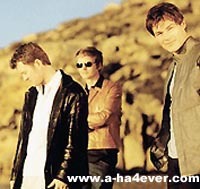 Enjoy your stay on a-ha4ever.com! On this website you can find links to other sites in the internet. I emphasize that m + b media has no influence on the creation and the contents of these sites. m + b media and the webmaster dissociates from all contents of all these sites.The whole responsibility for these sites has only the author of the site. The opinions from these authors must not be the same opinion like the webmaster's opinion . This explanation is valid for all links and for all contents of the other sites.